The mucosave blend of prickly pear and olive leaf extracts provides a protective barrier for the stomach lining to protect and soothe from discomfort. Just the right amount of protein-digesting enzymes are balanced at gentle potency to seed up the digestive process. Helps optimize acid levels in the stomach for those taking acid blockers for occasional heartburn. 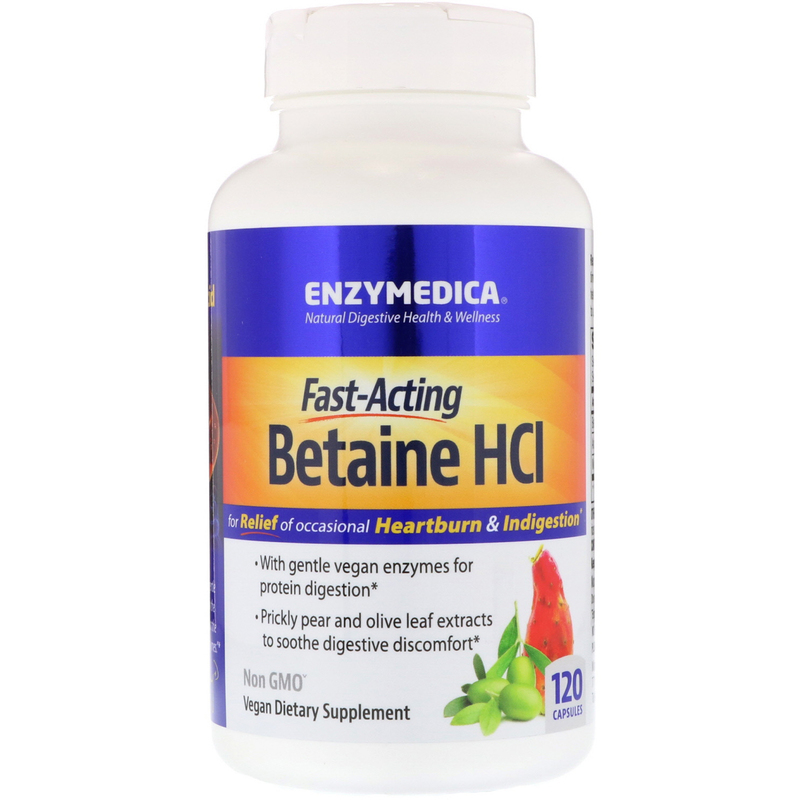 Speeds up the digestive process for those with how acid or sluggish digestive systems. 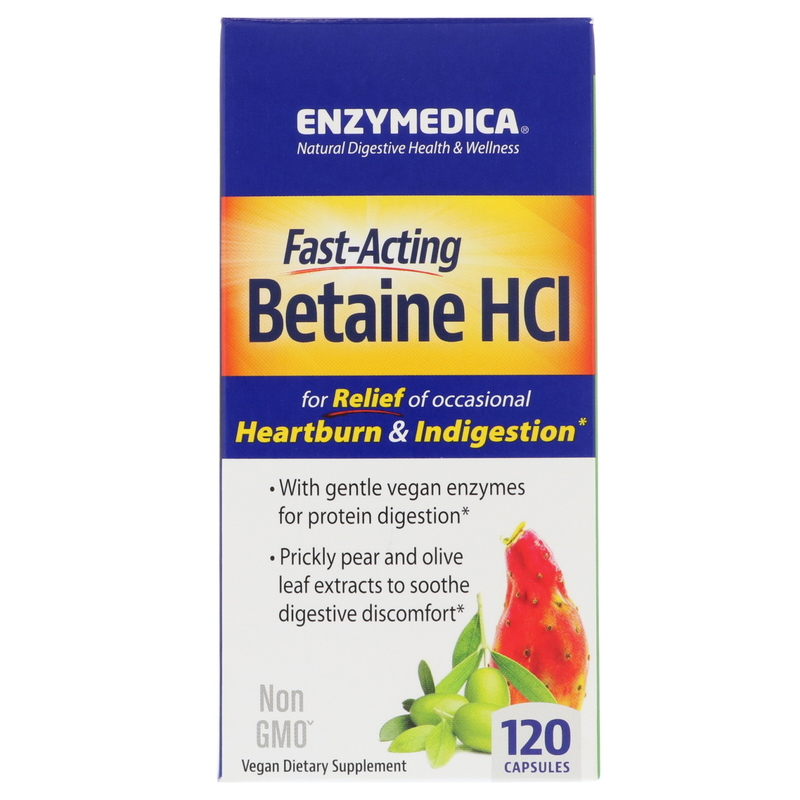 "Enzymedica's Betaine HCl provides gentle acid to support balanced conditions in the stomach and speeds digestion with just the right amount of protein-digesting enzymes." 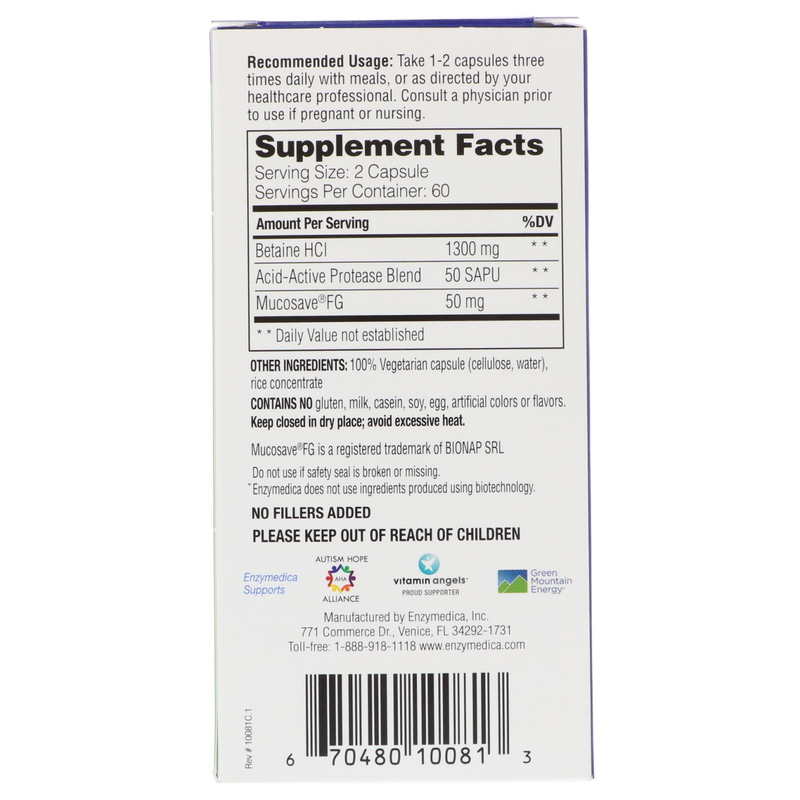 Take 1-2 capsules three times daily with meals, or as directed by your healthcare professional.